We are excited to announce financial advisor, Damon Bates will be succeeding branch manager Larry Squires as the new Manager of the Investment Center. Prior to joining the Investment Center at Wilson Bank & Trust in 2015, Damon was the Director of Client Coverage US for S&P Dow Jones Indices. 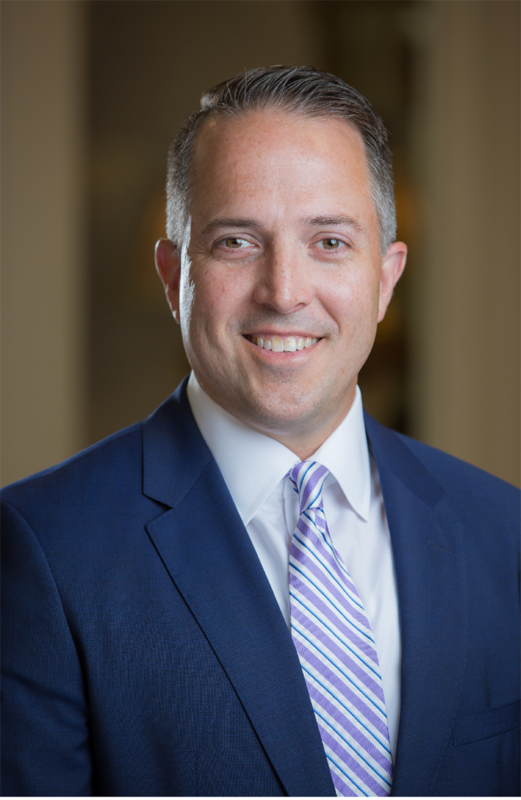 His over 12 years of experience in the Financial Services Industry includes time at AXA Advisors, Smith Barney (Louisville, KY) and Wachovia Securities (Dallas, TX). As an advisor his top priority has been to help individuals, families and businesses successfully accumulate and preserve wealth by providing them with trusted expertise to help navigate the financial landscape. Damon, a southern Indiana native, graduated from Indiana University Southeast in 1997 with his bachelor's degree in Secondary Education. He is a former college athlete and competitive by nature (NAIA All-American in Men's College Basketball). After being relocated to the Middle TN area in 2010, Damon was accepted into the Executive MBA Program at the Owen Graduate School of Management at Vanderbilt University, where he was awarded his Masters of Business Administration in July of 2013. Damon and his wife, Tasha, reside in Mt. Juliet with their two children, Mason (8) and Sawyer (5). He enjoys spending his free time with his family and friends, fitness classes at Six1Five Sports Training and Planet Fitness, and playing golf as a member of Old Hickory Country Club. Damon and his family attend Providence United Methodist Church, where he also serves on volunteer committees and as an Usher during Sunday service times. Damon also serves as a League Director and Coach for the Mt. Juliet Little League and West Wilson Basketball Association. At Wilson Bank & Trust, Damon has aggressively grown his assets under management and income in the offices he serves (Hermitage, Donelson, Gallatin and Hendersonville) since taking over a small portfolio back in 2015. Words cannot express our gratitude for Larry and the job he has done building and leading the Investment Center. He has been the only Manager since we started the full-service brokerage program back in 1994. He has put countless hours of time and energy in making it the successful program it is today. Larry will continue on as an advisor and mentor focusing on the transition of the management and his clients until his retirement which is expected sometime in 2018. Our advisors welcome you to join us in welcoming Damon into his new role by stopping by, or emailing him at Damon.Bates@raymondjames.com.